SRI LANKA - In 2006, while continuing my project for the worldwide company AES, my travels took me to Sri Lanka. I managed to talk my host into including a trip to the Pinnawala Elephant Orphanage, located about two hours northeast of Colombo, the capital. The orphanage is the largest of its kind in the world, hosting over 75 elephants in a natural setting, and is a major eco-tourist destination. 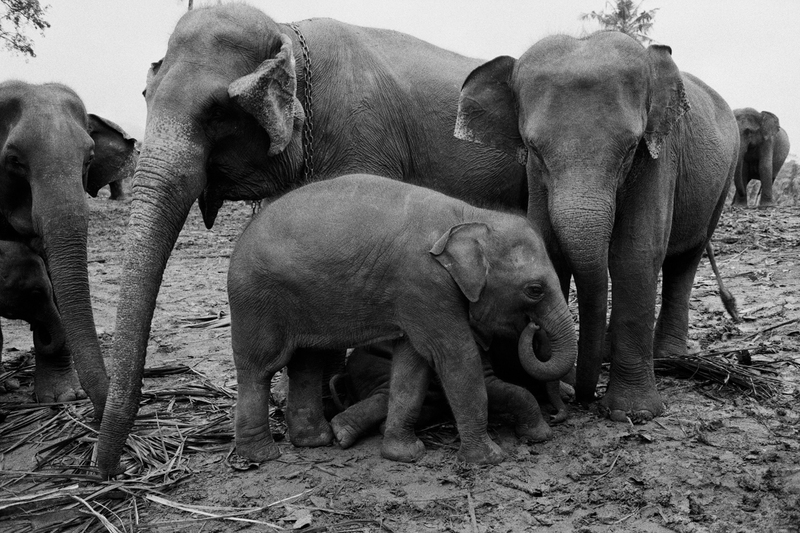 As we arrived late afternoon just in time for the feeding hour I jumped out of the jeep and with the help of two workers was transported inside the fences and the anxious crowds and planted right in front of a baby elephant who was being guarded by some protective adult elephants. What majestic creatures!